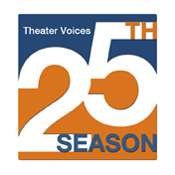 Theater Voices is proud to be embarking on its 31st season of producing staged readings for Capital District audiences. With a dedicated working volunteer board and the generous talents of the area’s best actors and directors, we have produced over 100 plays since 1989, all free of charge! In the Theater Voices tradition, each play is fully rehearsed and staged, and performed script-in-hand with the bare minimum of scenery and costumes, and presented at Steamer No. 10 Theatre in Albany. Please join our mailing list to receive occasional announcements about upcoming performances, auditions, and events. Theater Voices announces auditions for a staged reading of The Subject Was Roses by Frank D. Gilroy, directed by Brian Sheldon on Tuesday, February 26 from 7-9pm and Saturday, March 2 from 4-6pm. Watch this space for information about auditions for our first show of the season, Marjorie Prime by Jordan Harrison. See Auditions page for details. Theater Voices is a not-for-profit organization under IRS 501(c) 3. Support is always welcome to help Theater Voices continue its season of plays and community outreach. We now accept donations via PayPal. See our Support page for details.